I have used some of the following stories to emphasize the importance of letting our light shine. 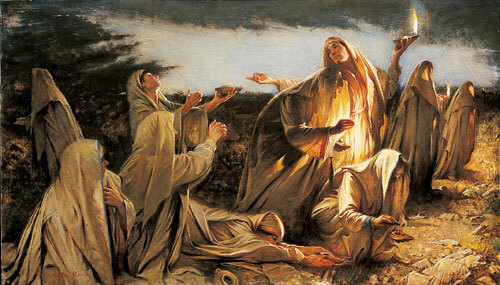 The savior taught, “Ye are the light of the world. A city that is set on a hill cannot be hid… Let your light so shine before men, that they may see your good works, and glorify your Father which is in heaven.” (Matthew 5:12-14) Like the candlesticks in the book of Revelation (see Revelation 1:20), we are not the light, but by living the gospel, we hold up the light, even Jesus Christ and His Father. By living the life He would have us live, the goodness of the Father and the Son shine through us. 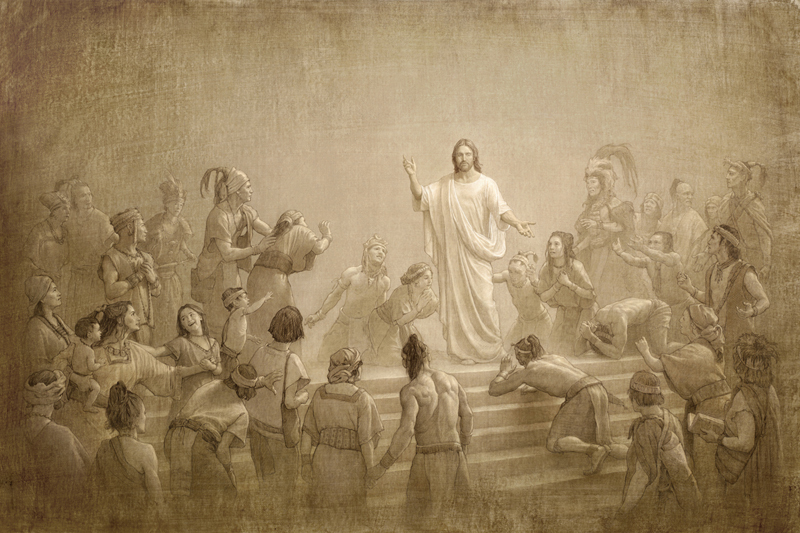 As he stated to his followers in America, “Behold I am the light; I have set an example for you” (3 Nephi 18:16). Later he said, “hold up your light that it may shine unto the world. Behold I am the light which ye shall hold up- that which ye have seen me do.” (3 Nephi 18:24). The following are illustrations that help to crystallize this idea in the minds of students. To illustrate my point, I would like to go back in thought to my native Holland where six generations of my father’s ancestors lived in the little village of Scheveningen at the seashore. They were fishermen or had other related vocations, like fishing-boat builders, sailmakers, or fishing-net repairmen. Many of them were also involved in the voluntary but hazardous task of lifesaving. They were stouthearted, experienced men who always were ready to man the rowing lifeboats to go on a rescue mission. With every westerly gale that blew, some fishing boats ran into difficulties, and many times the sailors had to cling to the rigging of their stricken ships in a desperate fight to escape inevitable drowning. Year after year the sea claimed its victims. When Holding Up the Light We Must Be Careful! In our efforts to live and to share the gospel, we must always keep in mind that we are not in a race with other people. By comparing our efforts to others we may become discouraged by our seeming lack of progress. On the other end of the spectrum, we might get a false sense of security as to where we are when we compare ourselves to those who appear to not have advanced as far along the path of discipleship. Both ways of thinking are damaging in different ways. The following parable helps to teach this concept. We must let our light shine, but we need to always remember who the source of light is! “The announcement of the winners was a great shock to us, for the brave young lad with the flips had apparently beaten us all. However, I had kept rough track of the scores in my head, and I knew with the arrogance of limited information that the math didn’t add up. I had consistently outscored the boy with the flips. And so, certain that an injustice was being perpetrated, I stormed the scorer’s table and demanded and explanation. “Degree of difficulty,” the scorer replied matter-of-factly as he looked me in the eye. “Sure, you had better form, but he did harder dives. When you factor in the degree of difficulty, he beat you hands down, kid.” Until that moment I hadn’t known that some dives were awarded “extra credit” because of their greater difficulty. . . . .
1. You Never Know Who You May Save, Elder Jacob De Jager, Ensign, October 1976. 2. Stephen E. Robinson, Following Christ: The Parable of the Divers and More Good News [Salt Lake city: Deseret Book, 1995], 34-38. 3. Harry Emerson Fosdick, The Twelve Tests of Character (1923), p. 87-88; as quoted by L. Tom Perry, Ensign, Nov. 1999, p. 77. This entry was posted in Friends, Jesus Christ, Leadership, Testimony and tagged applying the scriptures, Happiness, Leadership, principles in scripture. Bookmark the permalink.